Designed for "America's Team." 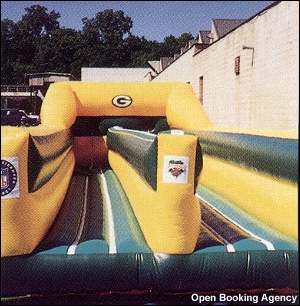 2 players race against each other and a bungee cord to see who can gain the most yardage and place a football the farthest before being pulled back to the line of scrimmage. Packer tested!